Iverna Mc Gowan is the head of Amnesty International’s European Institutions Office. The EU could counter ‘America first’ with ‘Europe United’ by agreeing on an asylum reform that would unite families. It’s been touted by Germany’s foreign minister lately that ‘Europe United’ should counter ‘America first’. In recent days, the world has been appalled by the separation of families happening on the US border. But dividing families is also a particularly inhumane consequence of Europe’s asylum framework – the flawed Dublin regulation. What stronger and more symbolic way would then there be of countering ‘America first’ than for ‘Europe united’ to agree the desperately needed asylum reform that, if passed as the European Parliament (EP) has proposed, would also serve to unite families. Europe’s current system means that the state of first entry ends up bearing major responsibility for asylum seekers arriving in the EU. This has very real consequences: the overstretched frontline countries creak under strain and delays mean that people fleeing desperate situations languish in limbo – many waiting years to be processed in one European country, while their family resides in another. Meanwhile, tensions flare between member states as they seek to pass the buck on asylum caseloads. There is an urgent need for a new system that is fair, efficient and compassionate. Last November, the EP slammed a strong solution on the table, the ball is now firmly in the court of the European Council to agree its approach at the upcoming summit on 28-29 June. Tinkering with the current system will not help. EU leaders must throw out the underlying responsibility-shifting logic of the Dublin Regulation and replace it with a solution based on solidarity. Concretely, this means supporting a mandatory distribution mechanism where responsibility for asylum seekers is shared among all member states. Aside from being fair, this would be efficient: with all member states involved and no bickering over who is in charge, asylum applications would be processed much quicker than they are at present. It would also be predictable and would thus avoid the tensions that now regularly appear between member states – an example of which being the recent standoff over the Aquarius rescue vessel. Some EU countries are reluctant to accept a system based on sharing of responsibility. Sure enough, it would mean every state must accept asylum seekers, including those that until now have not taken in their relative amount. These states would need initial support under a new solidarity-based system. Alongside cooperation incentives, a transition period would have to be granted to countries to develop their reception capacity – something the EP pragmatically suggests in its proposal. In time, all EU countries could offer broadly equivalent standards of protection and support, meaning asylum seekers would not need to move within Europe to escape undignified living conditions or to simply improve their chances of protection and support. A reformed system should strengthen rules for the reunification of family members. Asylum seekers should not be forced to travel irregularly within the EU to reunite with their families. Stringent rules should require member state administrations to proactively investigate family links, and facilitate family reunion through fast procedures. Bafflingly, the definition of family in the current rules does not extend to siblings. This must be rectified. A new system should also consider wider family links as a relevant connecting factor. 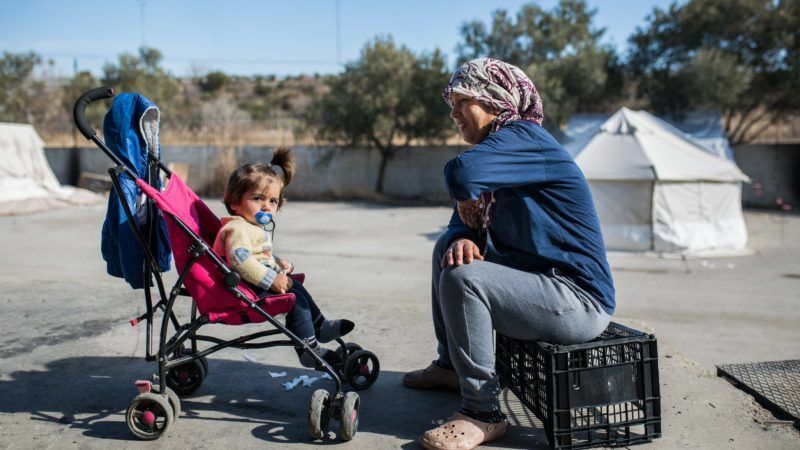 In many cases, relatives are as important to family life as the core nucleus, and, in a context of forced displacement, may provide crucial support to often traumatised and vulnerable asylum seekers. EU leaders must agree their approach at the June summit to begin negotiations with the Parliament. There is a shrinking window of opportunity to reach a final deal before the Parliament’s mandate expires in spring 2019. The people of Europe, as well as those fleeing war and persecution, deserve better than the shameful status quo. With courageous leadership, it is possible to put in place a system that is fair, efficient and compassionate. By referring to the EU’s founding principles of respect for human rights and solidarity between member states, this generation of European leaders can deliver a sustainable solution to one of the most pressing issues of our time. No way! Unite them outside EU! We cannot let everybody here and not become a Muslim majority developing country with typical problems of Muslims countries.